The club returned to action for the first time since the player’s disappearance on Tuesday in a 2-1 defeat at Arsenal. Sol Bamba: "We have all been affected by it, the lads, the city, the whole club." THE DISAPPEARANCE OF a plane carrying striker Emiliano Sala has left some Cardiff players afraid to fly, according to club captain Sol Bamba. Sala never got the chance to play for the Bluebirds as the aircraft carrying the Argentine and pilot David Ibbotson lost contact when on its way to the Welsh capital on January 21 just two days after completing a club record £15 million (€17 million) move from Nantes. Cardiff returned to action for the first time since Sala’s disappearance on Tuesday in a 2-1 defeat at Arsenal. “It is a very unusual situation, a big tragedy,” the Ivorian defender told BBC Sport Wales. “We have all been affected by it, the lads, the city, the whole club. Sala had travelled to Cardiff to complete the deal before returning to Nantes to collect his belongings and say goodbye to former teammates. 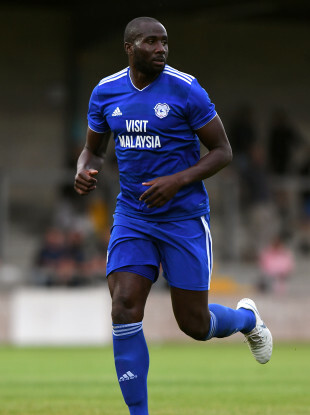 It was on his journey back to Wales that disaster struck over the Channel Islands and Bamba has felt the impact profoundly having played a part in encouraging Sala to join the club. “I knew Emiliano personally as I have a connection to him through my agent,” Bamba added. “He came to the club to visit the stadium and training ground and had been talking to the lads to say hello. “So he was definitely a part of us and we feel like we are missing him. I spoke to him in the lead-up to him signing, he asked me about the club, about the dressing room, is he going to fit into the team, what the gaffer is like. Top players were among the more than 4,500 contributors to a crowdfunding page which has raised over €360,000 to look for Ibbotson and Sala. Email “Cardiff players reluctant to fly after Sala disappearance”. Feedback on “Cardiff players reluctant to fly after Sala disappearance”.